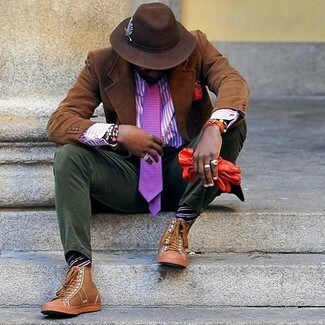 Contrary to what you might believe, outfiting dapper doesn't require that much effort. 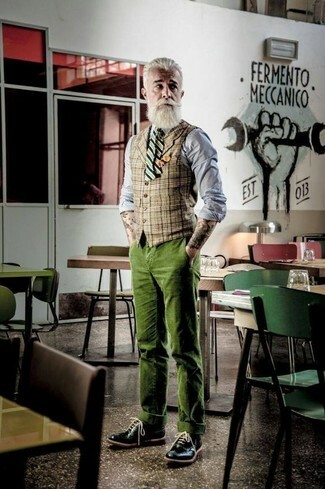 Just opt for a tan plaid waistcoat and AG everett straight leg corduroy pants from Nordstrom and you'll look incredibly stylish. Make black leather brogues your footwear choice to make the look more current. This combo of a brown corduroy blazer and olive corduroy chinos is very easy to put together without a second thought, helping you look seriously stylish and ready for anything without spending too much time combing through your arsenal. Rock a pair of tan leather high top sneakers to have some fun with things. 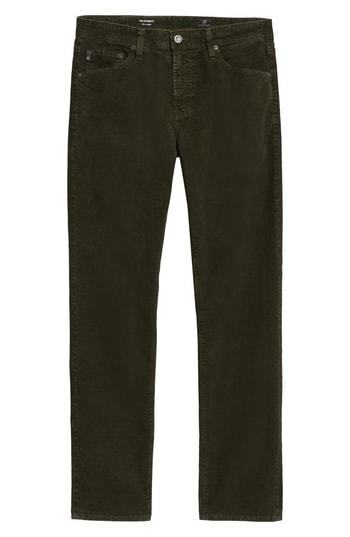 For a smart casual look, dress in an olive corduroy blazer and AG everett straight leg corduroy pants from Nordstrom — these items fit perfectly well together. 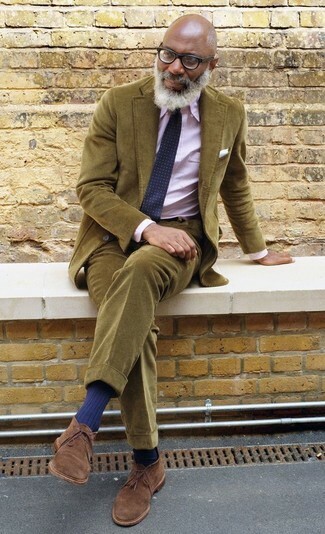 When it comes to shoes, this look is finished off nicely with brown suede desert boots.